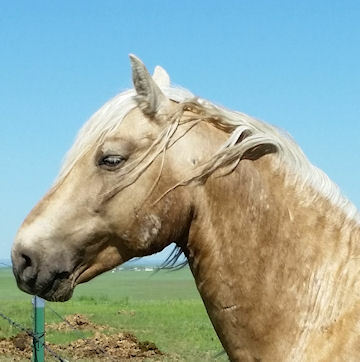 Bit-O-Wy Butch out of Nodaway Thea by Trajan Sundance (Cn). 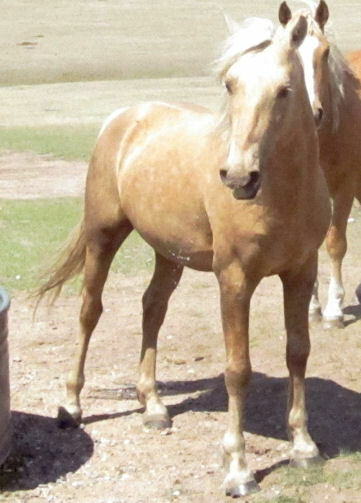 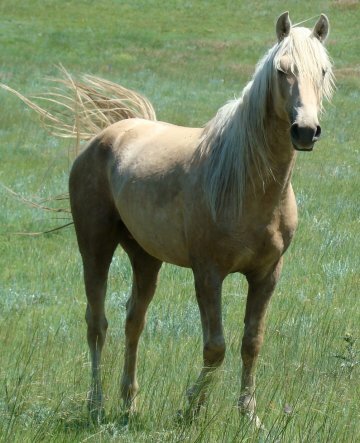 Butch, a long-legged colt, oozes charm and class. 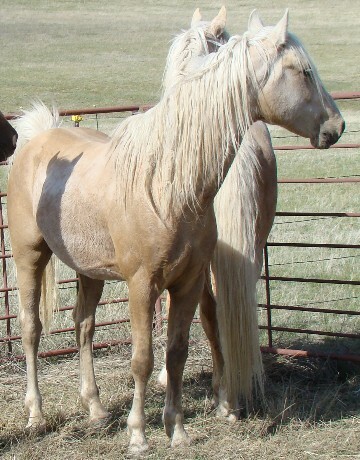 Butch passed kindergarten training with ease and demonstrated his thinking attitude. 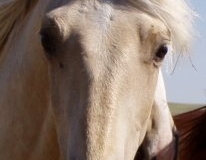 He is sensible yet sensitive saving himself from too much work by choosing the easy way. 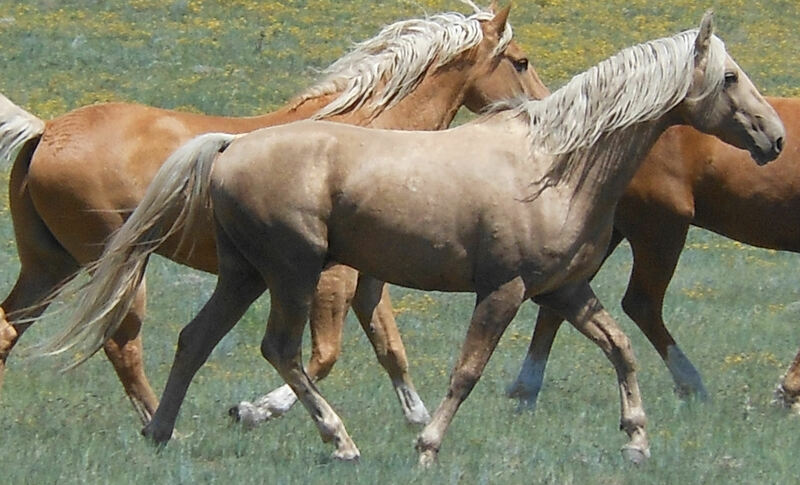 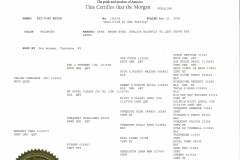 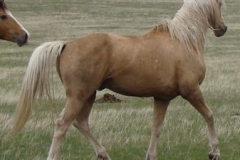 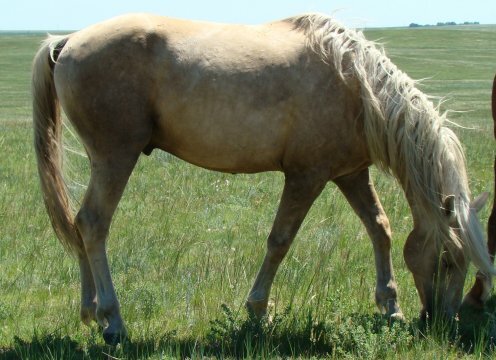 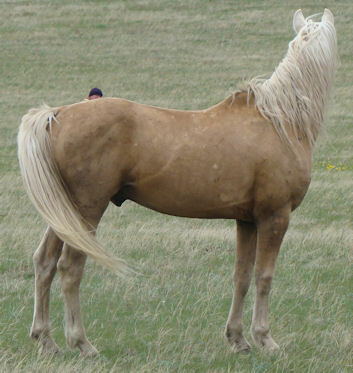 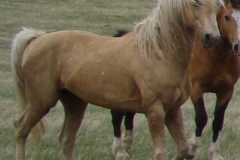 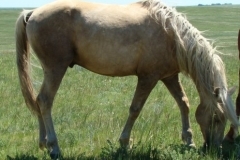 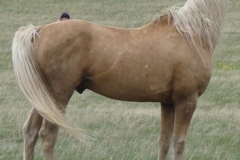 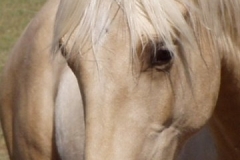 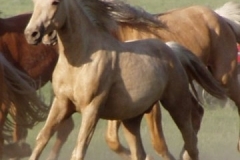 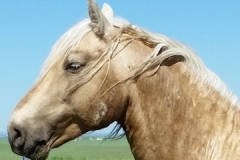 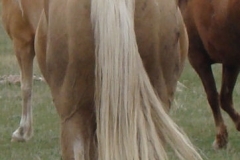 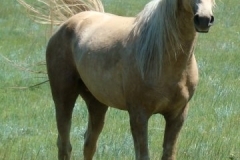 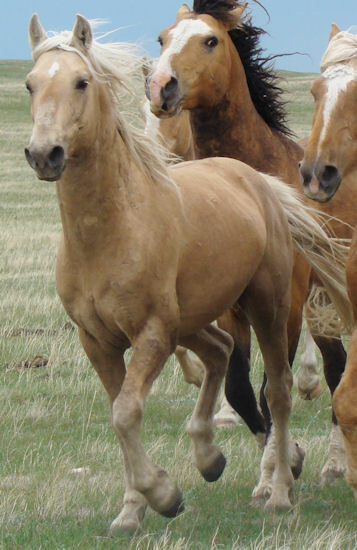 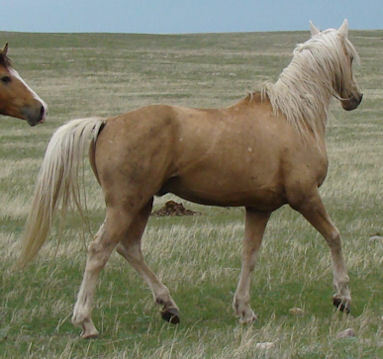 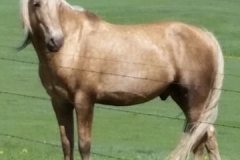 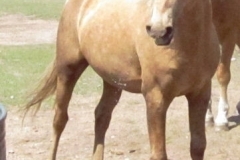 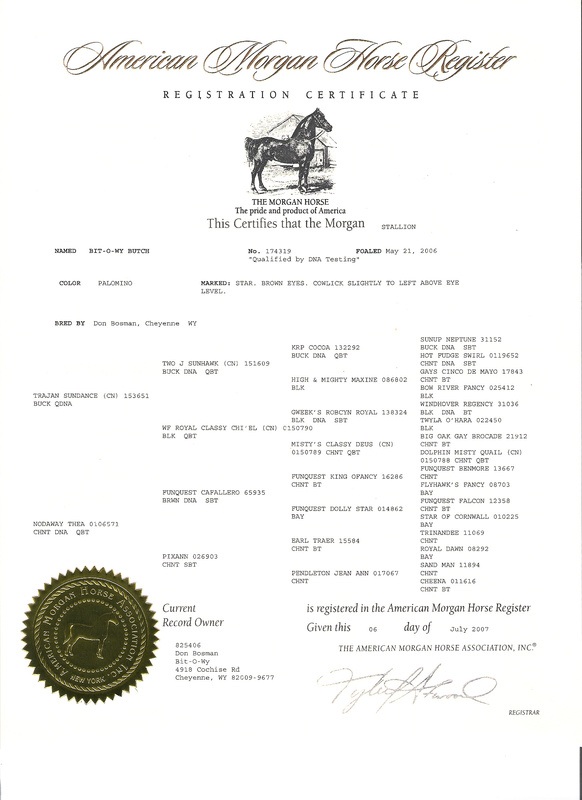 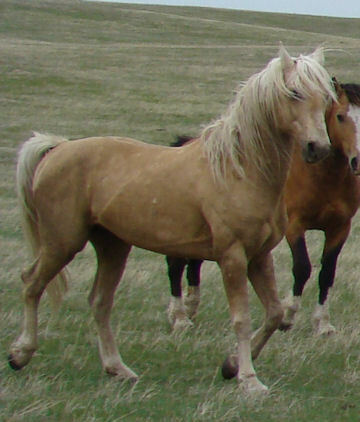 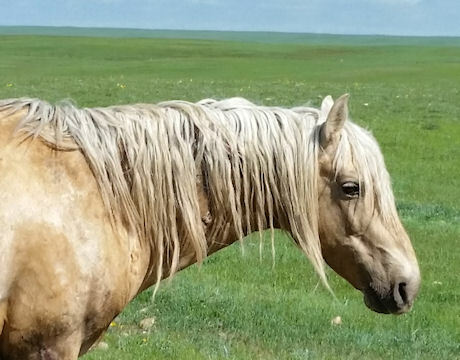 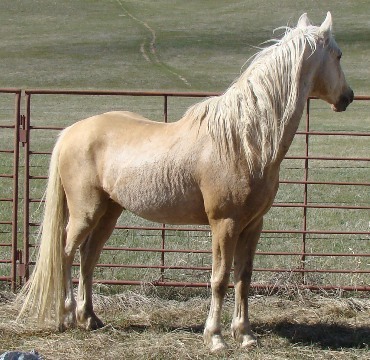 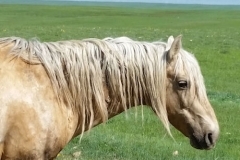 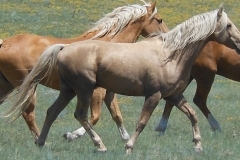 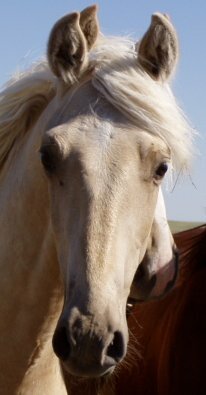 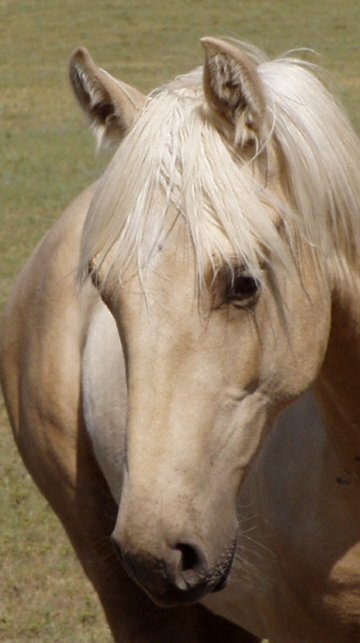 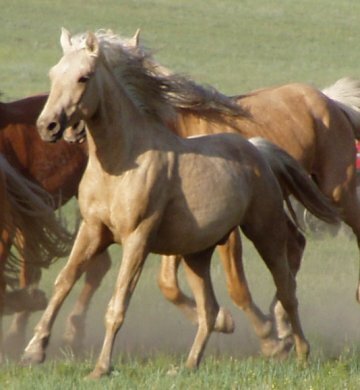 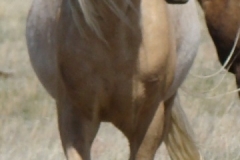 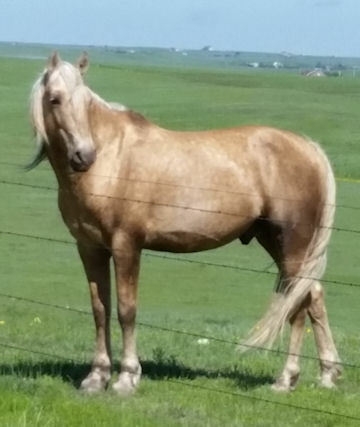 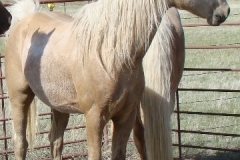 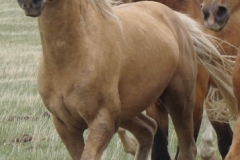 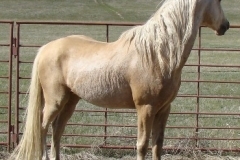 A light palomino in color, Butch, is of the old-style Morgan lines built to give a full days work and still have more to give.